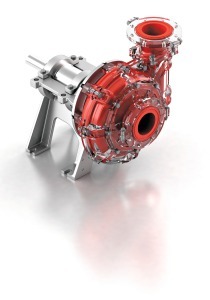 In many applications, the pump’s throatbush is the component that has the shortest life compared to the impeller and liners, with considerable variability. Adjusting the gap between the throatbush and the impeller front shroud reduces hydraulic recirculation in the pump. This prevents localised wear on the throatbush, improves hydraulic efficiency and lowers the total ownership cost for the operator. To avoid impacting the plant’s production, these adjustments are often performed while the pump is operating. However, this can have safety implications for individuals working at the front of the pump unit. 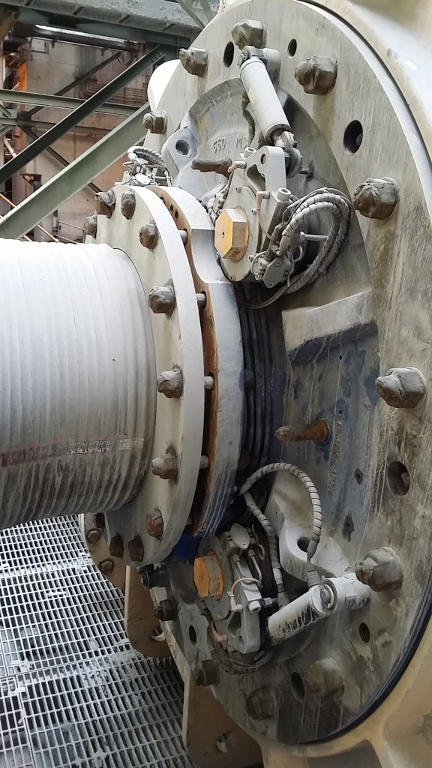 “We developed an automated rotating solution which maintains an optimum gap between the throatbush and impeller front shroud for the particles to flow through without catching and tearing the rubber. The localised surface wear is usually near the discharge position, but by slowly rotating the throatbush, we even out the material loss over the entire face. 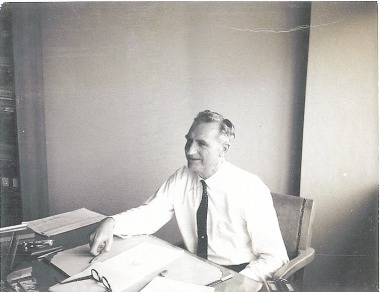 Field results have been very positive, showing an average of 40 % increase in wear life,” states Claudio Needham, Application Engineer for Weir Minerals. 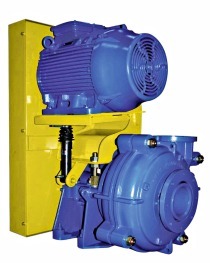 For the smaller Warman® slurry pumps used in medium to heavy duty applications, Weir Minerals offers a single point adjustment mechanism, providing both axial and rotational repositioning. This allows one individual to safely stand to the side of the pump while making the adjustment. 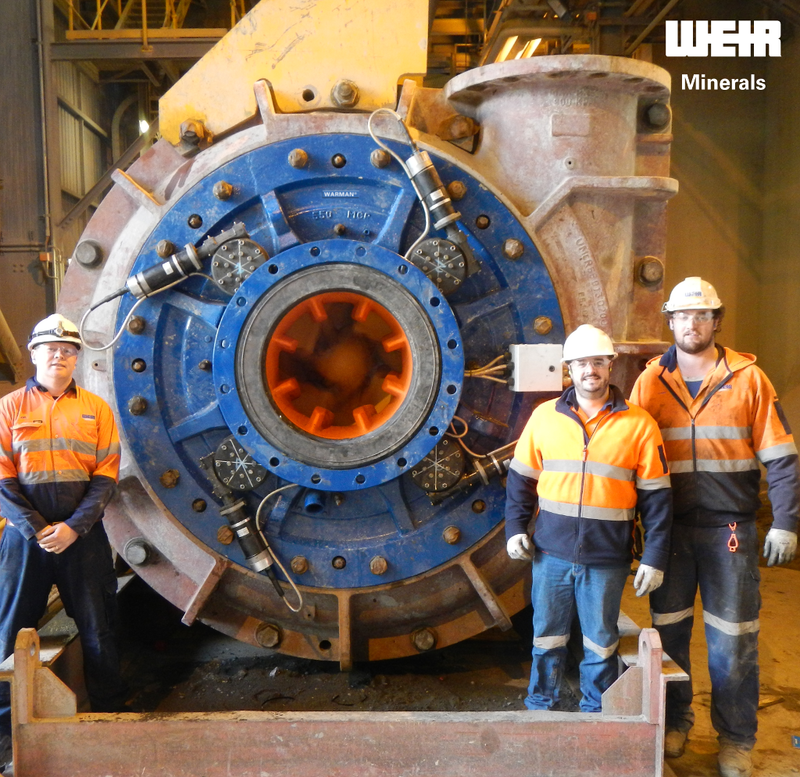 Mining operators who have trialled Weir’s adjustment technology have reported improved wear life and safer, simpler maintenance through the process of regular adjustment. Weir Minerals has already taken its adjustment technology one step further by integrating it with their IIoT Synertrex® platform to offer predictive maintenance feedback. “This is made possible through machine learning. Over time Synertrex learns from past adjustments, recording how many times the throatbush was adjusted and the magnitude of adjustment each time. This trending data is collected and analysed by Synertrex to communicate future adjustment requirements. 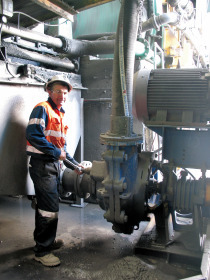 Through automating all adjustments, we can successfully communicate remaining useful life, and inform customers of optimum times to adjust the pump to increase efficiency and maximise wear life,” Marcus Lane concludes.